If you own a MacBook or a new MacBook Pro, you are probably familiar with the need for dongles associated with mobile electronics today. I am getting a taste of this myself with my Lenovo Yoga 720, as it only has one USB-A port, and two USB-Cs. However, that is a walk in the part compared to either one or four USB-Cs alone. 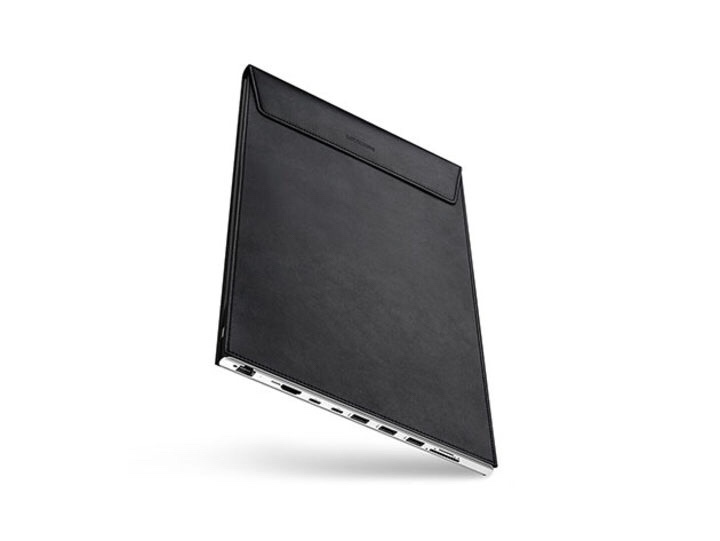 I’m a little jealous that the DockCase isn’t available for my new laptop, because this is a really elegant way to kill two needs with one product. Most of us will have some kind of sleeve or case to carry our new laptops in, and we also need a way to expand the capability of USB-C ports until accessory makers get it in gear. 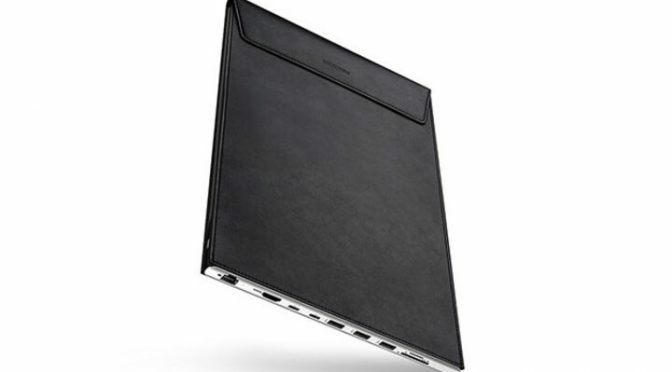 This slender microfiber leather sleeve happens to come with LAN, HDMI, USB-C, SD, Micro SD, and three USB 3.0 ports built right in. Just take your MacBook or 12″ or 13″ MacBook Pro out, plug it in, and you’re all set. Our Deals site is offering the DockCase Smart MacBook Sleeve Adapter for $99.99. You might love how thin your MacBook is, but that trim design came at a price, namely the number of ports it can support. Thankfully, the DockCase is here to give you those ports back in spades–and without having to tote around an extra adapter. Simply plug your MacBook into this stylish sleeve/dock combo, and you can expand that meager USB-C port into nine versatile inputs wherever you go.